2/6/2014 – SELFRIDGE AIR NATIONAL GUARD BASE, Mich. — The highest-flying free show in the Motor City returns to the skies of Macomb County this September. 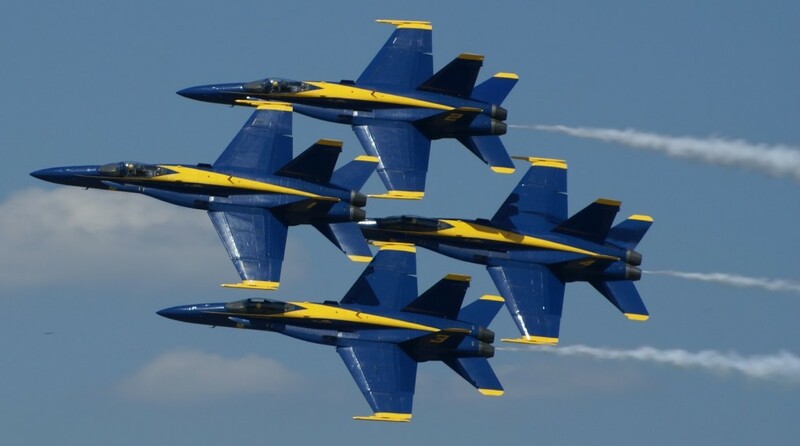 The U.S. Navy Blue Angels – led by Clinton Township native Commander Tom Frosch – will headline the 2014 Selfridge Open House and Air Show at Selfridge Air National Guard Base, Mich., Saturday and Sunday, Sept. 6-7. The show will feature a wide assortment of military aircraft and equipment displays, along with a number of civilian acrobatic aerial performances. Admission to the show on the military base is free and the parking is free. Tens of thousands of visitors typically attend the show on the air base, with thousands more watching from boats on Lake St. Clair or from neighborhood viewing parties. Officials recommend arriving early to beat the traffic and spending the day on the base. Refreshments and other vendors will be available. The gates to the Open House open at 8 a.m., with flying to start late morning. The Navy Flight Demonstration Team – best known as the Blue Angels – will showcase the pride and professionalism of military aviation with aircraft performances each day of the Open House. The Blue Angels last performed at Selfridge during the base’s 2005 Open House. Selfridge Air National Guard Base is home to 127th Wing of the Michigan Air National Guard, which flies both the KC-135 Stratotanker and the A-10 Thunderbolt II. The base is also home to units of the Army, Navy, Marine Corps, Coast Guard and Dept. of Homeland Security. All of the various types of aircraft assigned to the base, including several military and DHS helicopters, will be on display during the open house. Selfridge Air National Guard Base is located east of Mount Clemens along the shore of Lake St. Clair, accessible for the open house from Interstate 94 exit 241 (21 Mile Road) or exit 237 (North River Road). No camping or other overnight accommodations are permitted on the base.